PubSweet is an open source toolkit for building publishing workflows that is designed to be modular and flexible to serve the different needs of different workflows. Developed by the Collaborative Knowledge Foundation together with several partner organisations and academic publishers, it has seen a remarkable growth within a healthy community ecosystem. 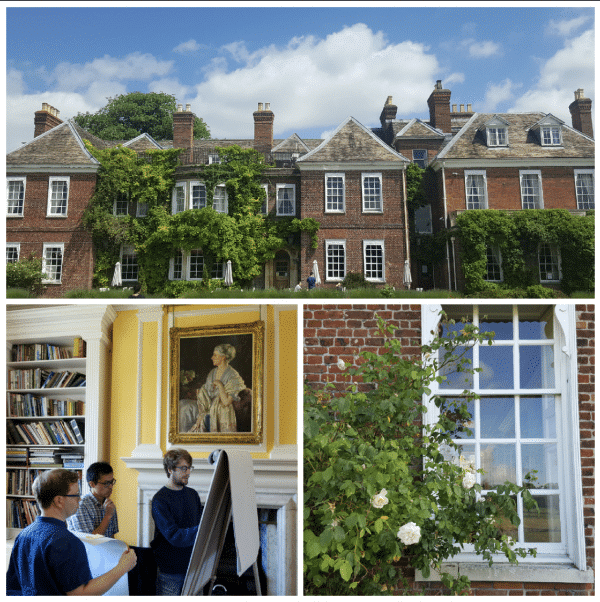 This week, the community is coming together in beautiful Anstey Hall in Cambridge to write the documentation for the platform. The book describes PubSweet’s design, its components, its community, and its value for publishers. It gives hands-on advice on how to get started, design workflows, create and reuse components, and contribute to the community. It has been an extraordinary Book Sprint for many reasons. We are live testing the new book publishing tool Editoria for the first time. Editoria was built using the PubSweet toolkit we are writing about, in Editoria. Some of the developers of Editoria are taking part in the Book Sprint and taking note of the workflows and improving the tool as we write the book. It is absolutely impressive to watch the evolution of the book within just the first day of the sprint, from conversations and sticky notes to a book structure and chapter outlines, and then a table of contents, first chapters and a beautifully designed epub and pdf. 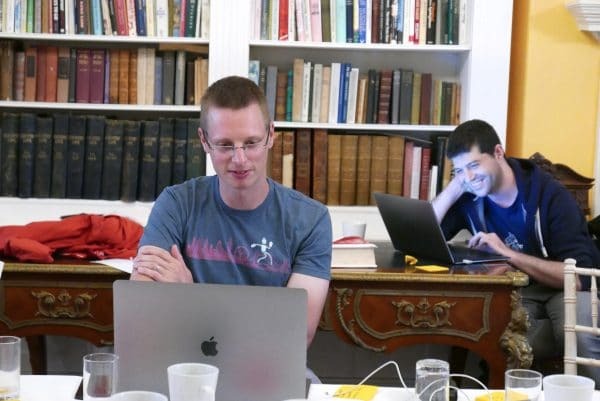 It is also the first time that the Collaborative Knowledge Foundation and Book Sprints, both co-founded by Adam Hyde, are working directly together. On the one side the community of developers building publishing tools, on the other side the team of facilitators and book designers who use those same publishing tools in our sprints. The recursiveness is a bit mind-boggling and a great learning experience all the same. And also for the first time, Adam Hyde is taking part in a Book Sprint as a participant, after having developed the methodology himself ten years ago. See some photos of the Book Sprint on flickr.